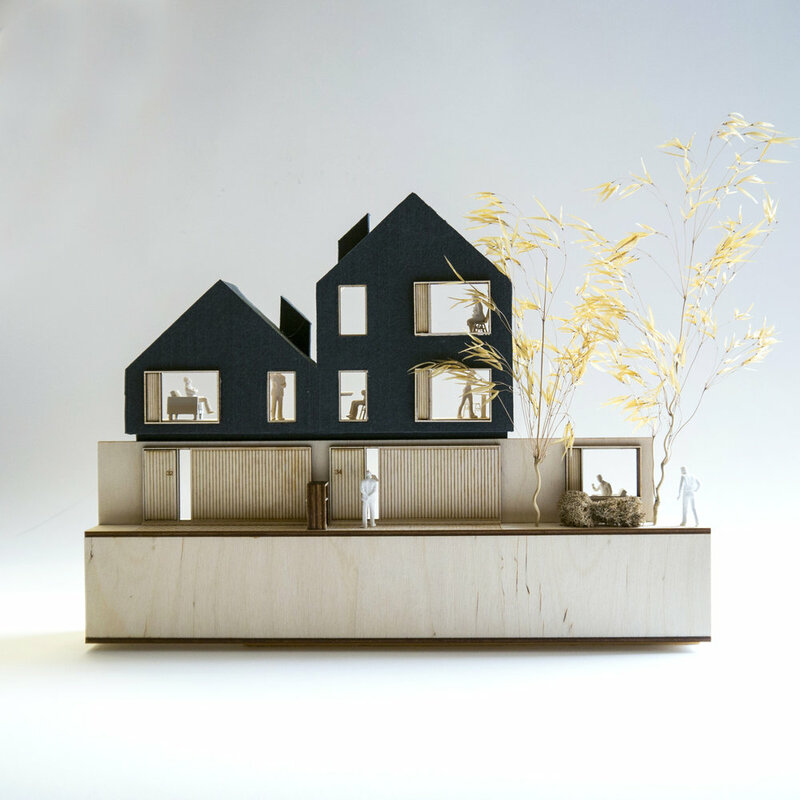 The idea of Orchard Housing was a finalist in the Architect’s Journal’s competition for Barratt Homes. Individual lifestyles around a shared green space. Orchard housing provides a new model of medium density homes that allow different people to live around a shared English orchard. People can buy a variety of homes to suit different needs, lifestyles, sites and budgets. This idea works for both brown and greenfield sites. This case study is illustrated with a typical edge of town development in the Midlands. The idea of Orchard housing mixes English tradition and innovation. Materials continue the themes of Englishness authenticity and durability with brickwork lower levels and zinc clad cross laminated timber upper levels. Homes of the future will include a mix of new energy saving innovations and familiar products brought up to date. Families are able to choose from 15 different types in 2 and 3 stories with a choice of side extensions. These allow them to live in different ways and expand and adapt their homes as their lives and families change.